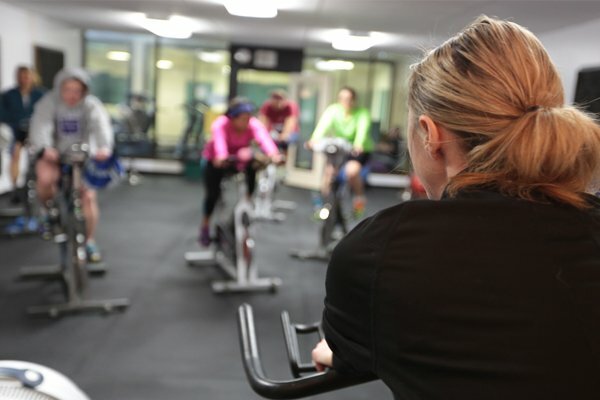 Spinning is a HIGH ENERGY class designed to give you a full workout! Classes may consist of race day simulation, or sets of powerful hills and flats. A great class for the bicycle enthusiast who wants to train all season, or the person who wants to push themselves to their limit!!!! It’s a great cross training exercise as well. minute comprehensive class for all levels! 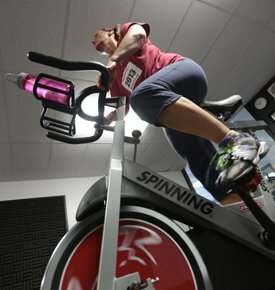 A stationary bike workout that simulates the riding positions used on real road bikes. Participants follow the beat of the music, and transform the energy from the music into powerful pedal strokes. All levels. This class consists of high intensity interval spinning finished off with a challenging core workout. For all fitness levels.